We received this sweet submission from Alessandra of Almalu’s Place in Italy. I thought this table was very sweet, simple and approachable. 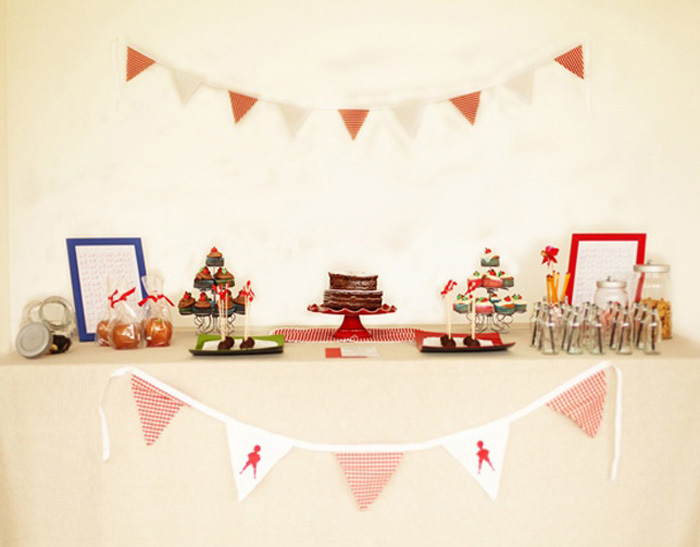 Alessandra created this table for a Back 2 School party but it can easily be translated to a holiday party or small gathering. All of the items were homemade. Molto Bene!